Magnesium is one of the most important minerals to human health. 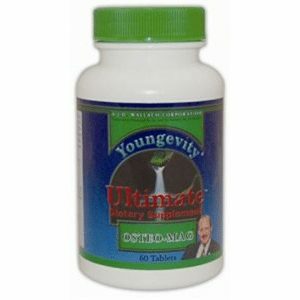 It is involved in more than 300 enzyme systems within the human body, and requirements increase with age. It plays a major role in bone health, with more than fifty percent of total body stores of magnesium found in bone tissue. It is in most foods, but is found mostly in green leafy vegetables. The USDA says we aren’t getting enough fruits and vegetables in our diet. Refined foods, which comprise most of our diet, generally have the lowest magnesium content. Just one capsule of Ultimate™ Osteo-Mag™ provides 200 mg of magnesium plus many other important nutrients to support bone and overall health. DIRECTIONS: Take one tablet, twice daily. WARNING: If you are pregnant, nursing, or taking medication, consult your healthcare provider before using this product. KEEP OUT OF THE REACH OF CHILDREN.